Amirali Ghasemi (b.1980, Iran) is a curator, media artist and a graphic designer. He graduated in 2004 with a BA in graphic design from Central Tehran Azad University, with an emphasis on research in digital art history. In 1998, Ghasemi founded *Parkingallery*, an independent project space in Tehran and in 2002 he set up Parkingallery.com, an online platform for young Iranian artists. 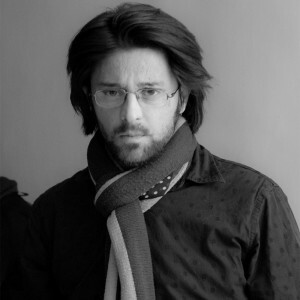 Ghasemi has shown his photographs, videos, design works in various festivals and exhibitions internationally. As a curator he has been directing many exhibitions, workshops, and talks for Parkingallery projects, such as *Deep Depression (2004-06), Sideways (2008). He has co-curated The Urban Jealousy,1st International Roaming Biennial of Tehran (2008-09) and four editions of Limited Access Festival for Video and Performance (2007-11), followed by his involvement in a variety of projects for institutions, project spaces and universities in Germany, Netherlands, Serbia, UK, Egypt, Turkey, United States, Brazil, Canada, France, Sweden, and India. He was the guest curator for the CCBRUGGE in 2010 and along his independently curated programs like “The invisible present”( Brazil,USA) he recently guest programmed a video art section for Rotterdam and Goteborg film festivals in Jan- Feb 2013. He is currently working with photography, video, installation and interactive projects, besides writing on the Tehran arts scene and contemporary Iranian art for various magazines and on his own art-log. IRAN&CO is his ongoing curatorial project, an ongoing exhibition and archive of Iranian art representation beyond its border. In summer 2014, Ghasemi co-funded New MediaSociety, a network base research platform and library.